Some of us were moved to ask this question by the public hysteria following the death of Princess Diana. 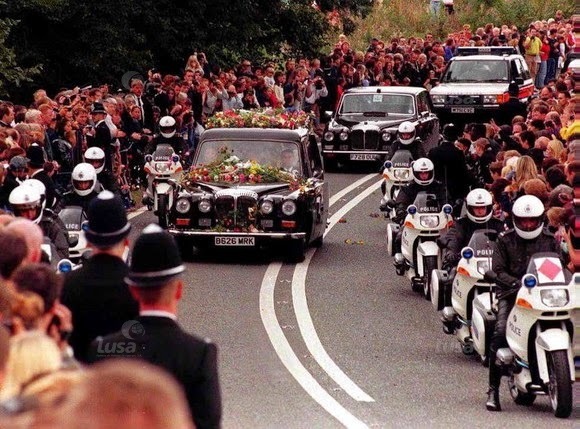 Surely nothing could be further removed from Britain’s traditional stiff upper lip than the huge roadside crowds weeping and wailing, hurling flowers with such vigour that they risked causing a further serious accident by obscuring her hearse driver’s view. The urge to grieve in public seems to have increased as belief in the after-life has diminished. Nearly every fatal road crash now generates a roadside shrine of fading flowers, cuddly toys, candles, crash helmets and football shirts, and woe betide anyone who suggests tidying them away. It’s not just recent fatalities that move us, either. Witness the huge upsurge in public engagement with Remembrance events, including the observation of a two-minute silence on Armistice Day. An event that passed largely unremarked as I was growing up in the 1960s, when substantial numbers of First World War veterans were still alive. 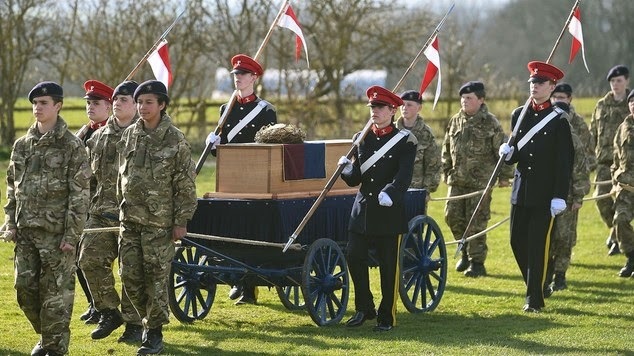 However, our love affair with the dead and remembrance has surely reached its apogee in the bizarre performance surrounding the re-interment of the supposed remains of King Richard III. Part theme park carnival, part religious ceremony, the overall effect can surely only be considered ludicrous, and the level of media coverage it has attained beyond absurd. All it has lacked so far is Tony Blair choking back tears as he pronounces: “He was the people’s tyrant”. But was he? On Sunday evening I was amused by a reported comment from the historian David Starkey likening Richard III to Gordon Brown. Both manoeuvred for years to seize a crown, but had little idea what to do with it when they got it, and failed to hold it long. No sooner had I repeated this mild jest on Twitter than I received an angry rebuke not from a Labour loyalist but a pro-Plantagenet, accusing me of falling victim to “Shakespearean propaganda”. Sure, Shakespeare appears to have exaggerated Richard’s curvature of the spine into a hunchback, and if the case of the princes in the Tower came before a Scottish court the verdict might well be “not proven”. But he had the motive and was not the rightful heir to the throne. 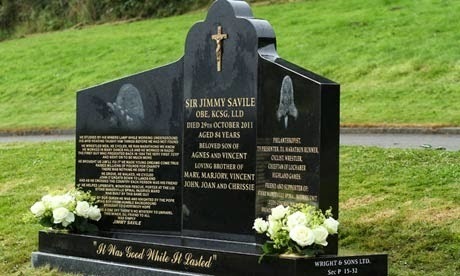 It seems odd that Leicester should be burying a potential child murderer with such grandeur and honour not long after the tomb of the child molester Jimmy Savile was destroyed, and while a campaign rumbles on to dig up and cremate his remains. Perhaps in 500 years time his crimes will also be dismissed as hearsay, in the admittedly unlikely event that anyone remembers him at all. 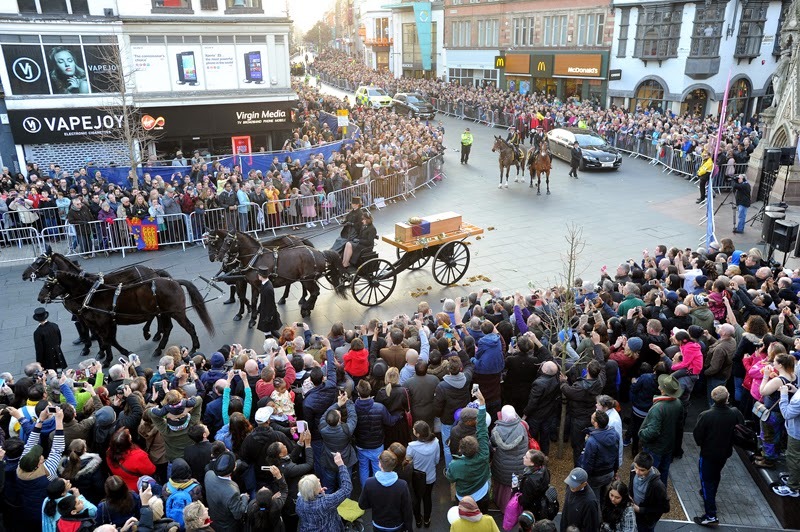 The university and ecclesiastical authorities in Leicester have waged an absolutely brilliant PR campaign not just to rehabilitate King Richard the Last, but to secure the creation of a major new tourist attraction through his burial there. In defiance, let us not forget, of his closest living relatives, who felt he should be interred in York Minster, as he himself wished. I have a liking for tombs and have paid my respects to many of England’s former monarchs and their consorts, and I can’t say I’ve ever been knocked over in the rush. I shall be truly baffled if the new sideshow in Leicester now powers to the top of the TripAdvisor rankings. 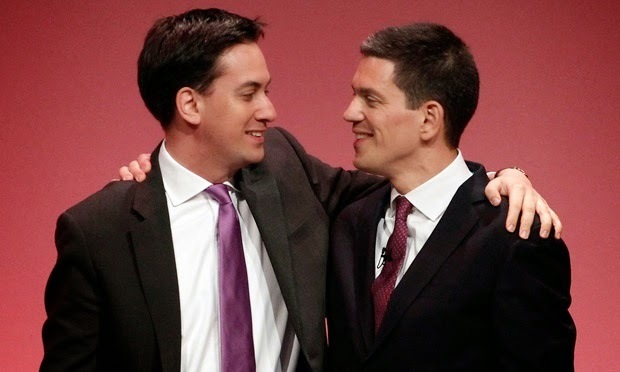 Meanwhile the parallel with Gordon Brown, while entertaining, seems to miss an even better opportunity to draw comparisons with his successor as the leader of the Labour Party. Because while Mr Brown undoubtedly waged a long and bitter battle to seize the crown he believed was rightfully his, he did not actually defeat his own brother to obtain it. As we endure the already mind-numbingly tedious General Election campaign, we can at least be grateful that we now change governments through the ballot box, not on the battlefield. However much we may yearn for distraction, let us also try to focus on the living, whose existence may yet be improved by how we vote. 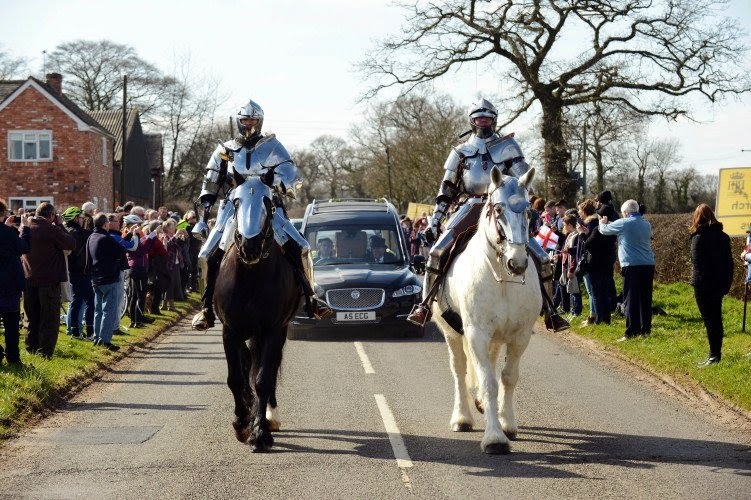 Richard III has been dead for 530 years at the last count, and his condition is highly unlikely to change. Even if history has treated him unfairly, which I rather doubt, so what?